At Metro Sign and Awning, we understand that a company's brand reputation is largely influenced by it's overall presentation. From a physical presentation perspective, the building itself is important, as well as the company logo, but you can't forget about their signs and awnings. 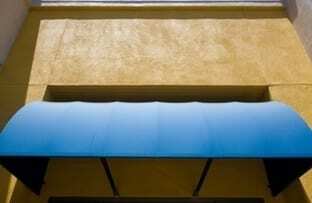 Awnings take a beating over time due to sun exposure and weather elements in general. And once this happens, the building as a whole may look old and worn. Simply changing the colors of your awning fabric can go a long way in enhancing a building's image, as well as providing an entryway customers feel comfortable and confident walking in to.